This week we are treated with two Point One titles, Hulk and Uncanny X-Force. My Uncanny X-Force review will be out soon, but here is how I feel about Hulk. Hulk #30.1 actually follows the Red Hulk, Former General Thunderbolt Ross. Right off the bat, we learn that Ross had a few issues with the Hulk and misused his power in an effort to destroy him. He faked his own death and ended up storming the White House. But now he is a good guy, working for Steve Rodgers and Bruce Banner, the Original Hulk. His crazy monster hating apparently spread to an officer that replaced him when he "died." Now he is being hunted just like he hunted Banner, by his friend, General Reggie Fortean, who doesn't know that his old friend is who he is trying to kill. 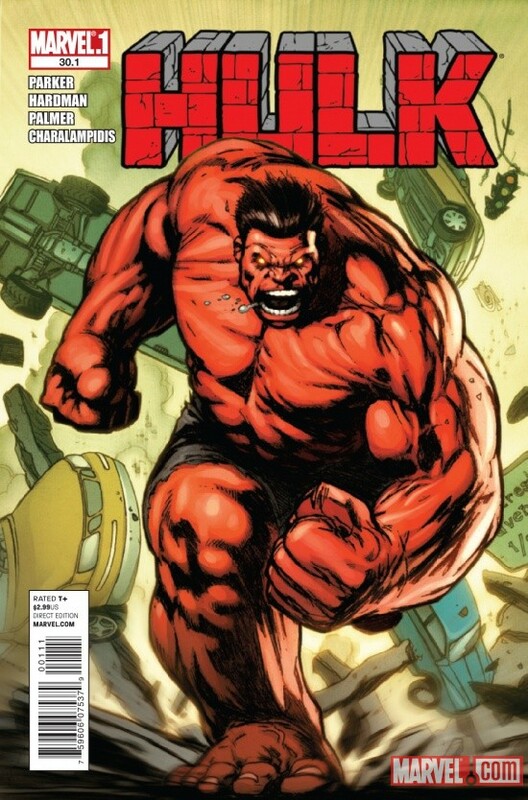 The Hulk Point One issue provided a great background for the Red Hulk character, while starting a new story. Ross is a compelling character that truly seems torn about what he has done in the past and what he is today. Not to mention, he has got a little attitude, which I love. However, wasn't this supposed to be about the Hulk? Bruce Banner never makes an appearance. I feel like I did for Amazing Spider-Man, they promised me one thing and gave me another. Marvel bait and switch! I know that this is supposed to bring in new readers and introduce them to characters but let's be honest for a second. These new readers have to want to read comics, so they already have some geek background and probably know something about these characters. Yes, I know that Red Hulk is on the cover like Venom was on the cover of ASM. However, as a potential new fan, I have the right to expect the title character to be in their own introduction story. If I wanted to be introduced to Red Hulk, I would buy a Red Hulk book! As a introduction to a character, this was a good story. It was ruined for me by the fact that I feel like Marvel is using the classics to sell me the second string cast.